Sofitel El Gezirah is the luxury hotel of Cairo, located on the Nile River, in the heart of the city and offering 433 rooms and suites, All rooms and restaurants are overlooking the Nile and will offer you multiple options to appreciate the spirit of the historical city while being away from the traffic and the turbulence of the Egyptian mega pole. At Sofitel restaurants and bars provide the perfect setting for relaxing and socializing and offer refined French cuisine with the latest in fusion dishes from around the world. 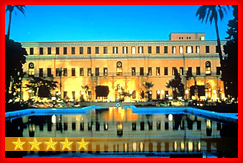 Sofitel Hotel very close to: coptic church, mohamed aly mosque, egyptian museum, cirtadel, cairo opera house, dream park, el orman garden, and giza zoo. 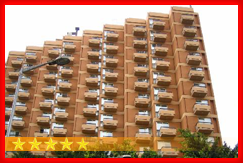 Located in the heart of Cairo city near area attractions and entertainment. 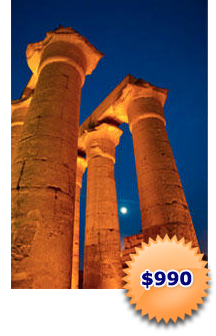 Our 5-star hotel is just 45 minutes from Giza pyramids and attractions. Luxury hotel in Cairo with deluxe rooms suites and an Executive Floor, Stunning views of the heart of Cairo, Nile River and our garden from most rooms One of the best hotels in Egypt Stunning views of the heart of Cairo with an amazing location in the heart of the city. Rooms are overlooking golf and beach views. Outside overlooking the Nile in the west and the pyramids in the east. Towers and Casino. Sitting on the west bank of the River Nile in unique adjoining towers, our hotel proudly stands tall as one of Cairo's greatest landmarks. Our hotel places you in the middle of it all. Cairo Opera House, Egyptian Museum, or Cairo shopping centers. The Pyramids of Giza are just 20 minutes away 15 minutes from the railway station 30 minutes from Cairo International Airport), our friendly staff will greet you with a warm smile and help you make the most of your stay. The hotel includes 650 deluxe rooms, including 113 suites comfortable and relaxing rooms. 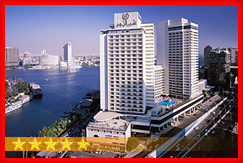 Enjoy a stay you will never forget at the Sheraton Cairo Hotel, Towers and Casino. Located on the banks of the River Nile the hotel boasts a British-style pub, an Indian restaurant, a shopping Galleria and Executive Lounge. Relax at the outdoor pool and indulge in retail therapy at the shopping Galleria. Offering 6 meeting rooms and a ballroom for up to 600 persons the hotel is located in the heart of the city, 5 minutes from the Egyptian Museum and within easy reach of the Pyramids and other Cairo attractions. 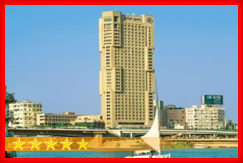 Includes 859 rooms and suites overlooking the Nile. 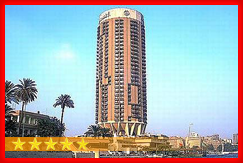 The Safir Hotel Cairo is ideally located at the city centre. Nile, 22km from Cairo International Airport, few minutes away from downtown, the Egyptian Museum, Sakkara and the Giza Pyramids and sphinx. The hotel boasts 267 renovated guest rooms & suites, with modern amenities to guaranty guest’s comforts. For your comfort high speed internet is available in all guest rooms and all hotel outlets as well.